Gewürztraminer, originally from Italy, is the most aromatic of the Traminer family. “Gewürz” translates as “spice,” or “perfume.” Demanding in the vineyard, and typically producing low yields, Gewürztraminer occupies a small niche in Austrian plantings. 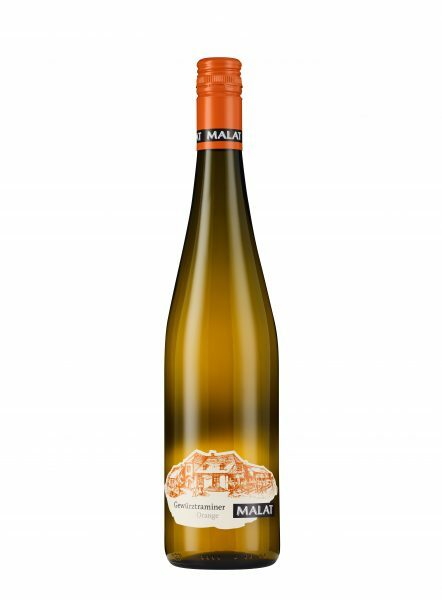 While this variety is generally vinified into off-dry, low-acidity wines, Michael Malat has taken a different approach, exploring the potential of a skin-contact Gewürztraminer. The extended maceration of this Gewürztraminer has unlocked the fine tannic structure present in the skins. On this structure hang the intense aromatics of the variety, along with citrus notes and an incredible mineral precision on the finish. The color comes from the extended skin contact, not oxidation, illuminating the rosy color inherent in the Gewürztraminer skins. It is Malat’s answer to a Rosé-esque experience, but from the angle of a macerated wine.